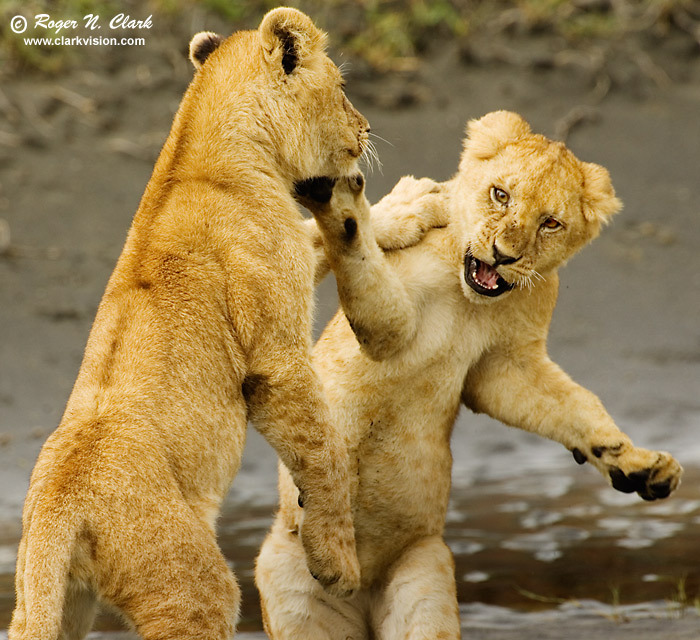 Two lion cubs (simba in Swahili) play fighting. Ngorongoro Conservation Area (NCA), Tanzania, Africa. Technical: Canon 1D Mark II 8-megapixel camera, Canon 500 mm f/4 L IS lens plus a 1.4x teleconverter giving 700 mm at f/7. Exposure: 1/640 second at ISO 200. This is the full height image.